Loved this dress! Ordered according to their size charts and it worked out perfectly. Arrived way sooner than expected and was exactly what the bride wanted! Received it and it perfect. Great experience with JJ&#039;s House! I had looked all over for a dress for my sister's wedding. Not only did I find a dress I loved at jjshouse.com, but it was affordable and was delivered in less than a week! I have already recommended JJ's House to others. i ordered this dress on June 1 and it reached to me this morning. it is so quickly. i can not believe it. it is shipped from another country and it is made after i placed the order, but it only took 15 days to come to my hand. it is really so quick! Loved it! Wore it last Sunday to wedding. The fit is great. At 4'11 and 103 lbs I got the size according to the measurement guide and it fit my curves perfectly! 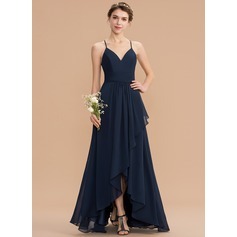 i make some change, After these changes to my order and additional request, my dress still arrived within a couple of weeks of putting through the order. I am more than happy with the turn around time and the final product. I purchased this dress after looking at it for months.It fit perfectly and looked really cute.This dress is beautifully made and very high quality. Made to measure and it fits like a glove. Stunning!!!! There is a bit of room under the arms, which is nice. I'm very happy with it! I really like this dress and i am considering buy more.